Dentistry has made tremendous strides in providing better, more comfortable care. We've chosen the articles in this library to update you on the latest advances in dental treatment, and to give you some ideas on how we may be of assistance to you. Air abrasion is a relatively new decay removal/tooth preparation procedure we often use in place of the traditional dental drill. Anyone can have the confidence that a bright, white smile can give you these days. Tooth whitening is safe, effective and long lasting. Typically, people who have bad breath have poor oral hygiene habits that leave decaying food particles, other debris, or bacteria in the mouth. These conditions produce volatile sulfur compounds just like those found in rotten eggs, resulting in foul-smelling breath. Lasers offer higher quality treatments, better outcomes, and greater comfort for the patient. During your cleaning appointment we will use a cavity detection laser. This enables the dentist to discover decay in teeth before it is deep and therefore can be fixed without anesthetic during your cleaning appointment. Our office has all the latest technology for laser treatment. The MD Biolase Hard Tissue Laser is the latest technology. Initial decay can be removed without anesthetic and fillings can be placed. Dental surgery has never been easier and more comfortable with this laser. Patients experience less discomfort and healing time is twice as fast. Our Cosmetic Laser will whiten your teeth. A combination of a whitening gel and a 60-minute procedure with a specialized laser technician and our laser will lighten your teeth 2-4 shades. Our Periodontal Laser is designed to help reduce gum disease. During your periodontal cleaning deep pockets can be treated with our fine laser, which destroys bacteria that causes gum inflammation. TMJ disorder or TMD can cause a wide variety of mild to severe symptoms, from jaw clicking and minor discomfort to sharp pain in your temple, ear, jaw and teeth; it can also "lock" your jaw open or shut, or dislocate the jaw altogether. New treatment includes Botox® therapeutic injections into tense muscle groups to relieve tension, which prevents chronic headaches and the triggers that cause migraines. Dental Implants are changing the way people live. They are designed to provide a foundation for replacement teeth that look, feel, and function like natural teeth. The individual who has lost teeth regains the ability to eat virtually anything they want and can smile with the confidence knowing that teeth appear natural and that facial contours are preserved. Implants themselves are small titanium posts that are inserted into the jawbone where the teeth are missing. These posts act a metal anchors that substitute as the root of the tooth. The bone will then bond to the titanium post, creating a strong foundation for the artificial teeth. Small posts are then attached to the implant to stabilize the permanent crown, bridge, denture or partial. This procedure takes approximately 2- 6 months, depending on how long it takes for the bone to bond to the implant itself. Please ask at your next appointment if you are a good candidate for implants. Finally, Botox is a treatment for headaches and TMJ that does not require medication. 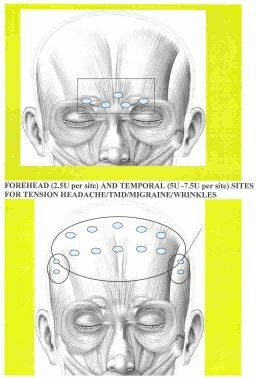 Botox therapeutic is injected into the muscle groups causing tension resulting in chronic headaches. The principle mechanism is to release tension at neuromuscular junctions preventing inflammation and pain. The average time from the injection to the onset improvement is on the average of 3-5 days, and the benefit is usually 3-4 months. The recommendation is two sets of injections the first year. Please talk with Dr. Petraglia if you are having these symptoms and he will discuss whether you are a candidate for this procedure. Another cosmetic result is a reduction in facial fine lines and wrinkles. For some people, having avoided dental care because of fear of pain or embarrassment, having bad teeth is a major problem. Many such people believe that comfortable dental care is not possible for them. Dr. Petraglia is proud to have helped many such people remove the burden they bear, so that their teeth will no longer be a problem for them in their daily lives. Why do people trust Dr. Petraglia's softer side of dentistry? Because he gives you a safe place to bring your smile.